Sign up using the form below or call (540) 667-7300 to make an appointment. Call us at (540) 667-7300 today. Now carrying doTERRA essential oils and offering free classes to learn how to incorporate oils in your daily preventative health care regimen. RSVP appreciated but not required. Call us for more information at 540-667-7300. 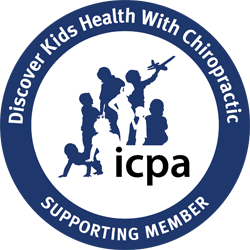 What is Chiropractic? Understand what chiropractic is and how it can benefit you. Chiropractic and Motherhood : Learn how chiropractic can help your pregnancy. Headaches & Migraines, Neck & Back Pain, Arm & Leg Pain, Whiplash, Work Injury, Chronic Health Problems, and more. Truly effective treatment for the whole family in a comfortable, caring setting. Please contact us to see how you can start feeling better today! "“My kids are in better moods thanks to Dr. Kotkin. They love getting adjusted. After having my kids, my back hurt constantly, but now I rarely ever have back pain. Thank you Dr. Kotkin for making our lives better.”"